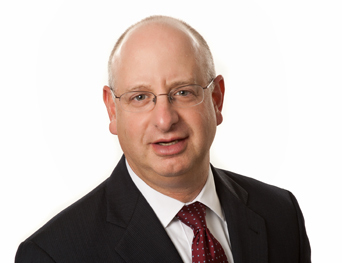 Ken Ulrich is a principal and chairs the firm's Litigation Group. Ken serves on the firm's Management and Professional Responsibility Committees and chairs the firm's Policyholders' Insurance Coverage practice. He focuses his practice on complex commercial litigation, including directors' and officers' liability and related insurance coverage issues, insurance coverage work for policyholders, breach of contract, fraud, trademark and copyright infringement, restrictive employment covenants, and trade secrets. He has represented publishing companies, manufacturing companies, banks, venture capital firms and other financial institutions, professional sports agents, and a variety of start-up enterprises. He has served as outside general counsel for a consumer goods manufacturer, supervising all legal matters, including contracts and trademark and employment issues, and he has had significant experience supervising outside counsel in numerous jurisdictions. Mr. Ulrich has written and lectured on issues relating to insurance coverage, directors' and officers' liability, limitations of liability, and alternative dispute resolution. Mr. Ulrich is admitted to practice in Illinois, the U.S. Supreme Court, the U.S. District Courts for the Northern District of Illinois and the Eastern District of Wisconsin; and, the U.S Court of Appeals, Seventh Circuit. He received his law degree in 1987 and his B.A. in 1984 from Northwestern University. Ken serves by appointment of the Illinois Insurance Commissioner as one of two public directors of the Illinois Life and Health Guaranty Association. Ken is a member of the Legal Advisory Board of World Business Chicago. Defended Independent Managers of Delaware LLC in breach of fiduciary duty claim brought by Trustee in Fontainebleau Las Vegas bankruptcy. Obtained multi-million dollar business interruption recovery for owner of television station damaged by Hurricane Katrina. Defended insurance brokerage firms in class action lawsuits involving attacks on the use of contingent commissions. Defended publishing company in a jury trial concerning software development. Defended venture capital firm against another venture capital firm in a dispute regarding allocation in excess of $15 million of residual profits and investment rights. Prosecuted securities fraud matter involving claims of failure to disclose material facts in connection with the sale of a business in the sports industry. Defended group of Iowa grain cooperatives in a lawsuit alleging fraud and violations of the Commodity Exchange Act, brought by a group of approximately 70 farmers seeking to avoid obligations under future contracts. Obtained substantial recovery for general construction contractors in construction defect cases. Defended publishing company in a commercial disparagement lawsuit brought by a competitor. Represented finance company in a negligence lawsuit against an appraiser of manufacturing equipment. Represented construction firm in a multi-million dollar construction lien priority dispute in connection with the construction of an apartment complex. Represented Mexican sales representative of a large domestic manufacturing company in connection with a dispute regarding 10 years of commissions for sale of locomotives and diesel engines. Represented independent director in lawsuit arising out of Hawaii real estate development. Defended bank in fraudulent conveyance action arising out of leveraged buyout of trucking company. Obtained early dismissal of outside director in the Republic Windows & Doors bankruptcy.